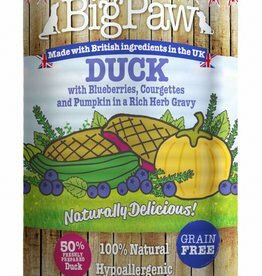 Little BigPaw Duck with Blueberries, Courgettes and Pumpkin in a Rich Herb Gravy for Dogs 390g Packed with proteins, highly nutritious, tender and low in fat. 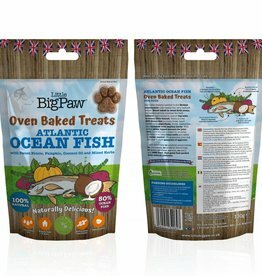 A complete wet dog food. Little BigPaw Steamed Atlantic Salmon & Vegetable Terrine for Small & Toy Dog. 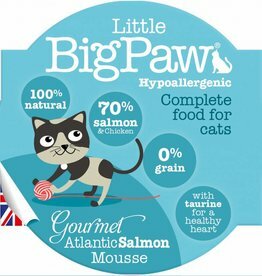 Packed with proteins from atlantic salmon, highly nutritious, easily digestible and rich in omega oils. 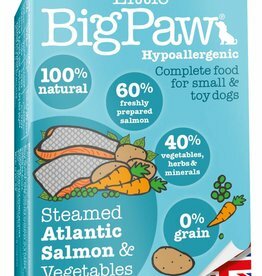 Little BigPaw Steamed Atlantic Salmon & Vegetable Terrine for Small & Toy Dogs. 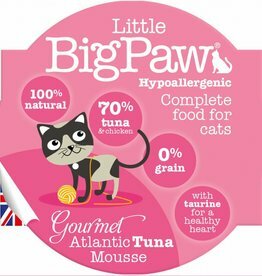 85g Packed with proteins from atlantic salmon. 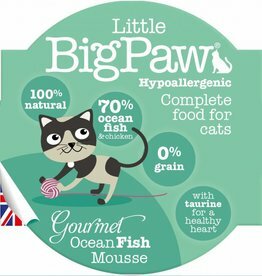 nutritious, easily digestible and rich in omega oils. 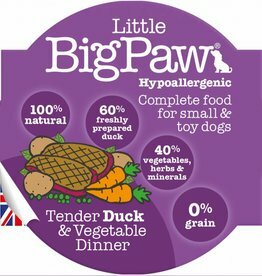 Little BigPaw Tender Duck & Vegetable Dinner for Small & Toy Dogs. 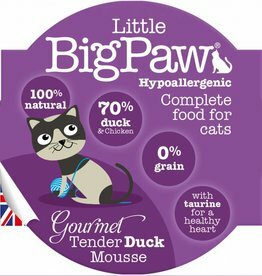 Packed with proteins from tender fresh duck meat, highly nutritious, easily digestible and low in fat. 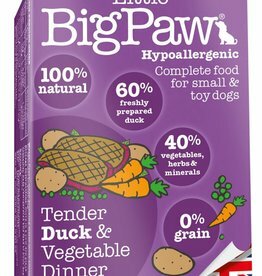 Little BigPaw Tender Duck & Vegetable Dinner for Small & Toy Dogs 85g. Packed with proteins from tender fresh duck meat, highly nutritious, easily digestible and low in fat. 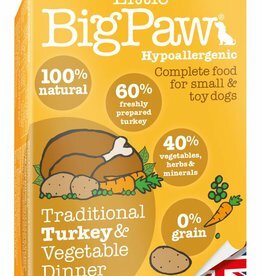 Little BigPaw Traditional Turkey & Vegetable Dinner for Small & Toy Dogs. 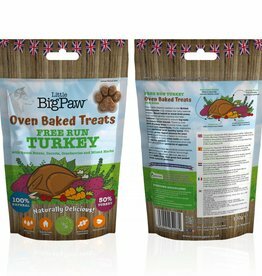 85g Packed with proteins from tasty fresh turkey, highly nutritious, easily digestible lean meat. 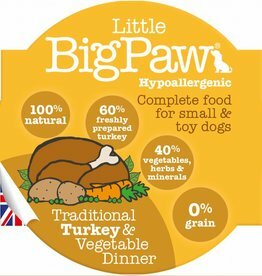 Little BigPaw Traditional Turkey & Vegetable Dinners for Small & Toy Dogs. 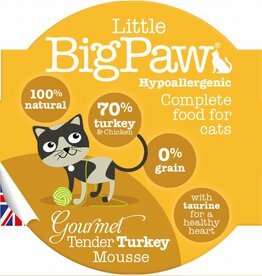 Packed with proteins from tasty fresh turkey, highly nutritious, easily digestible lean meat. 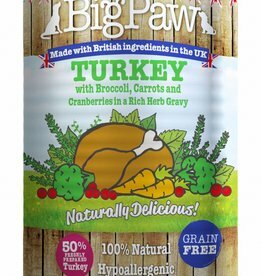 Little BigPaw Turkey with Broccoli, Carrots and Cranberries is packed with proteins and made with freshly prepared turkey, nutritious digestible lean meat. 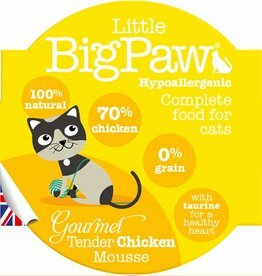 A complete wet dog food.